Through all of the transfer rumours and deals completed this month, one player who won’t be available at any price is Tottenham’s Harry Kane. However, if it was down to Zlatan Ibrahimovic, that would be a very different story. The Swede has urged Spurs’ talisman to leave the club in order to progress his career and win trophies. The World Cup Golden Boot winner is currently missing with an ankle injury and will therefore be absent for Spurs’ crucial Carabao Cup semi-final second-leg against Chelsea on Thursday night. 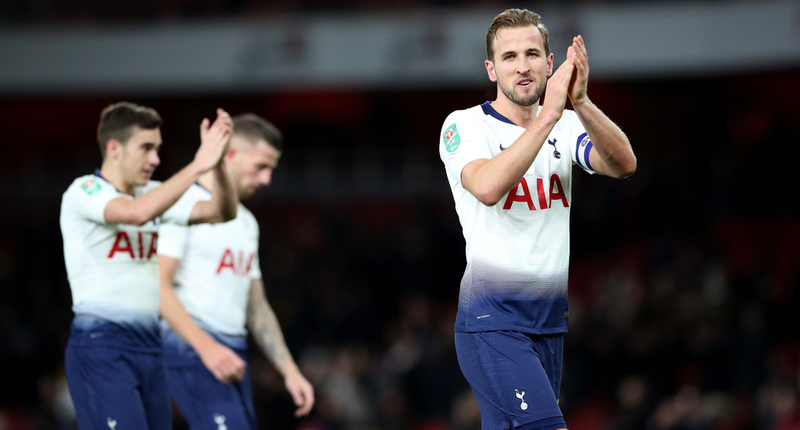 Now 25, Kane is entering the prime years of his career, but is still yet to win any silverware for Tottenham, despite scoring 155 goals since the start of the 2014/15 season and has already netted 20 in all competitions this term. Both he and Dele Alli are set to be on the sidelines until March, while Heung-Min Son is also away on international duty with South Korea, leaving the team short of attacking options unless they bring in any new signings this month. Now Ibrahimovic, who won 11 league titles in five different countries in Europe, has now urged Kane to move on in order to add trophies to his impressive individual honours list. “When I was in England, I saw him (Kane) play,” the Swedish forward told Bethard. “I think he is a good striker. He’s still developing, he’s doing good things. “But I always say, playing in a big club, performing good is different from playing in… with all respect to Tottenham, a ‘normal’ club. “I think he can make it. He just needs to make the move, and people will remember you for what you win.